I don’t know why I torture myself by coming to Panera. The aroma of fresh baked bread and cookies is killing me right now! Last night I enjoyed a nice trail walk with my dad. I love living in a spot where I can walk right from home to a walking trail. My dad came by, and we hoofed it. We “speed walked” for about 55 minutes at about 4.5 mph! It was a lil’ windy and cool, but highly enjoyable. My dad is a great walking partner. I really love our deep conversations about the bible. Last night we were talking a lot about the connections between the Old and the New Testament. Amazing, just amazing. 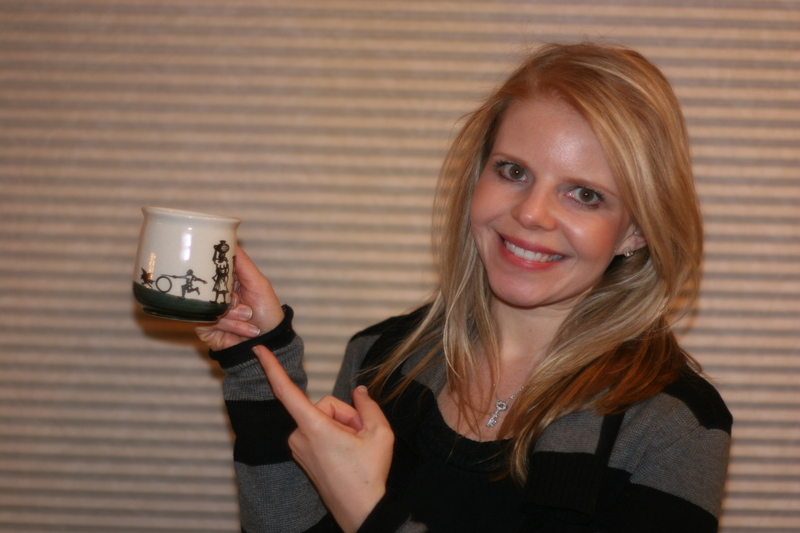 And it just blows my mind how detailed God is – in everything! For example, we talked about how Jesus was born and wrapped in swaddling clothes. Well, swaddling clothes of course is what they would bury the dead in. It’s what Jesus was wrapped in when buried in the tomb. SO, what a connection showing all again, He was “born to die.” He was wrapped in swaddling clothes (clothes for the dead) as a little newborn baby. Along our journey, we marveled at God’s creation. 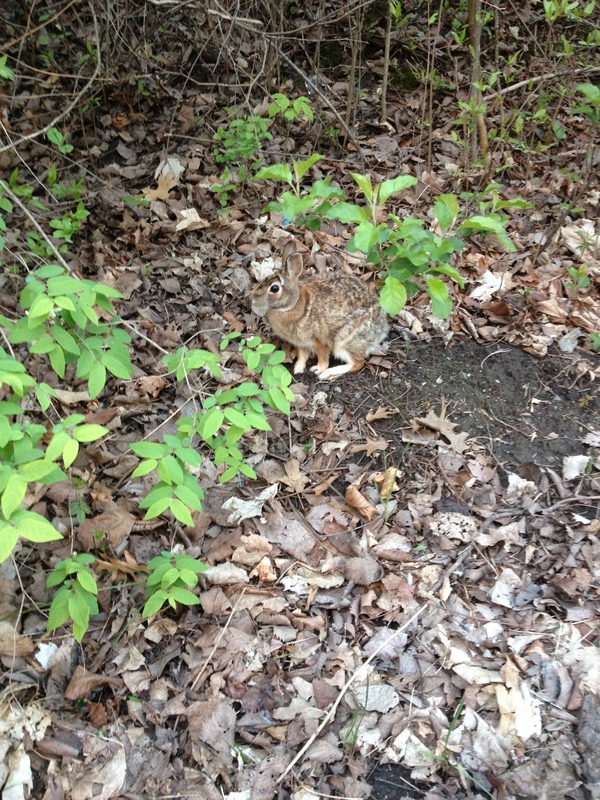 We kept running into bunnies. They were so cute. This lil’ guy was like the sixth one we saw! 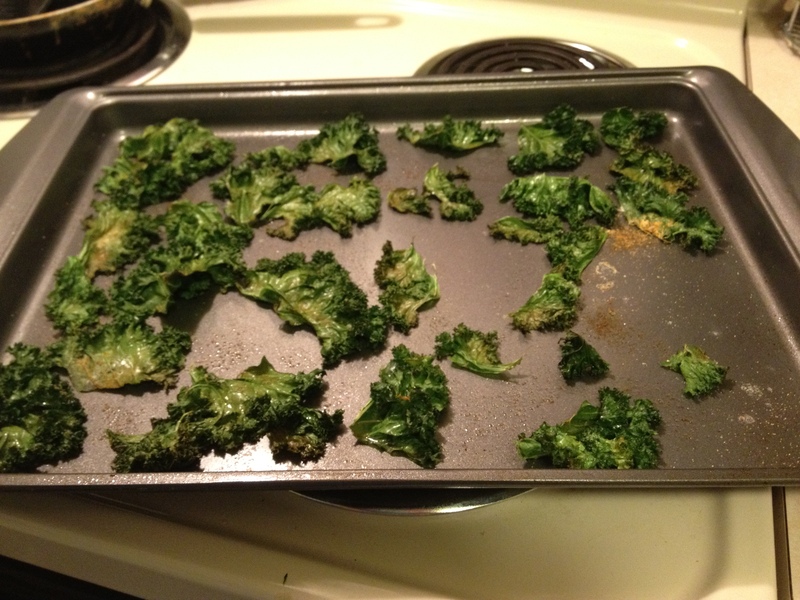 After our walk, I went home and jumped into my “comfys” and settled in the kitchen to make some kale chips. My friend had given me some earlier in the day, and gosh they were delicious! I cannot believe how simple to make either. Perhaps you all have tried them and I am way behind the “kale craze,” however if you haven’t, give them a try! Rinse the kale and dry off. Break apart from the stem. Lay out the “leaves” on a cookie sheet. Spray/spritz with some olive oil. Sprinkle with sea salt and seasoning salt. 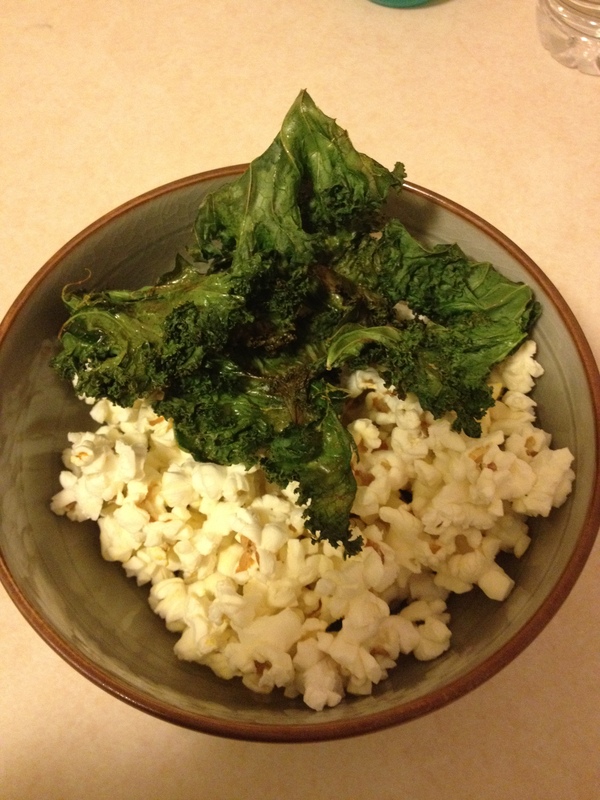 I put them in a bowl with my 94% fat free microwave popcorn and had a yummy evening snack!